Emily and Jonnie tied the knot at one of my favorite venues, the Women's Twentieth Century Club of Eagle Rock. They wanted lots of color. Emily's mom spent months collecting interesting vases from local thrift shops! 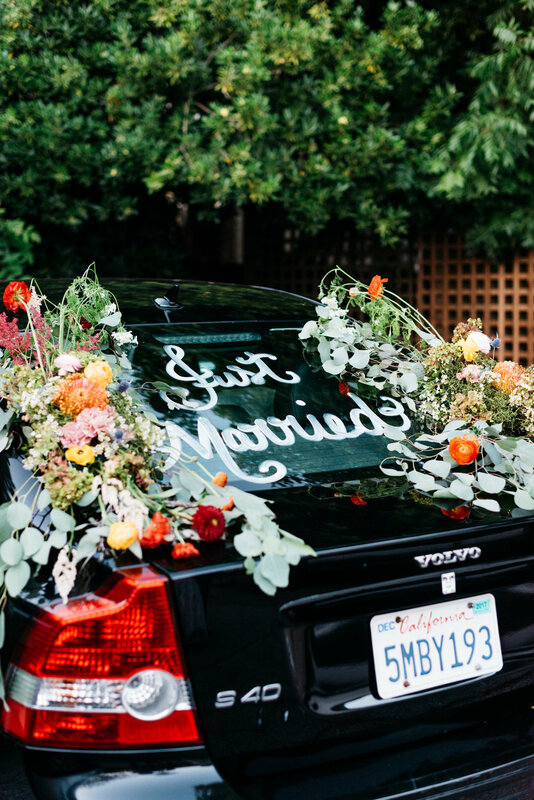 I was able to fill them with eclectic, wildflower inspired arrangements to add bursts of color to the reception space. Her bouquet was full of color with a bright mix of protea, tweedia, forget-me-nots and chamomile. My favorite part of their wedding was their chuppah! 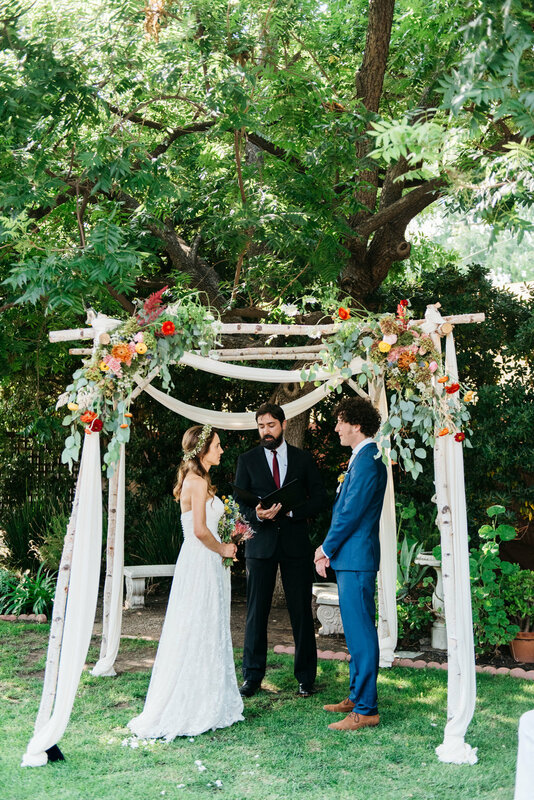 Photos courtesy of Cara Robbins, birch chuppah courtesy of Provenance Rentals.